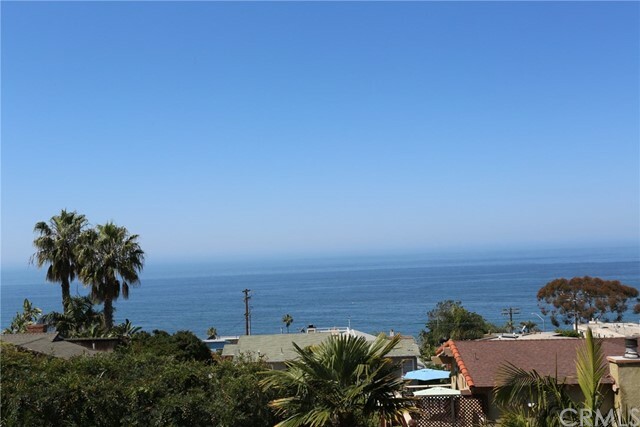 GORGEOUS OCEAN VIEW Fully Furnished Air Conditioned Beach House moments from South Laguna's finest beaches! 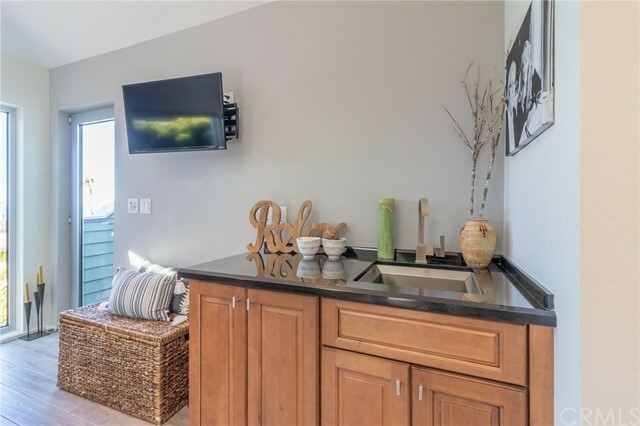 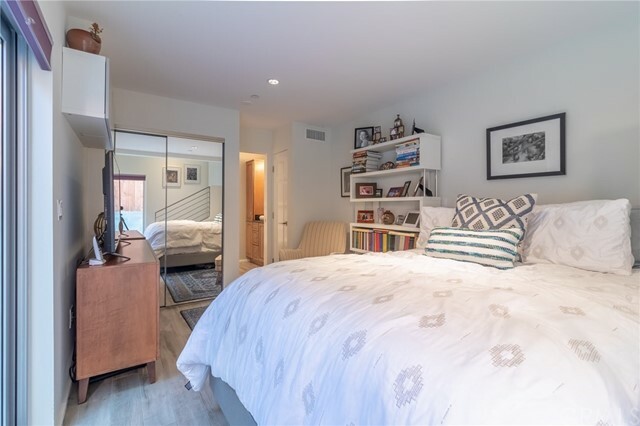 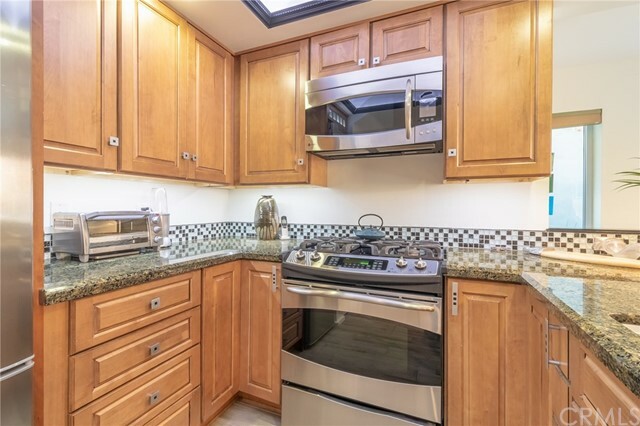 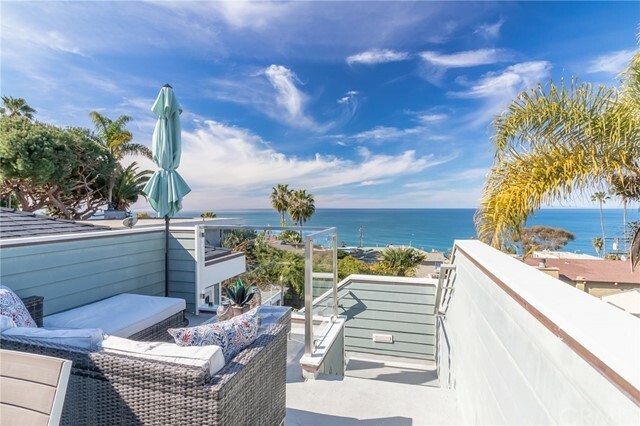 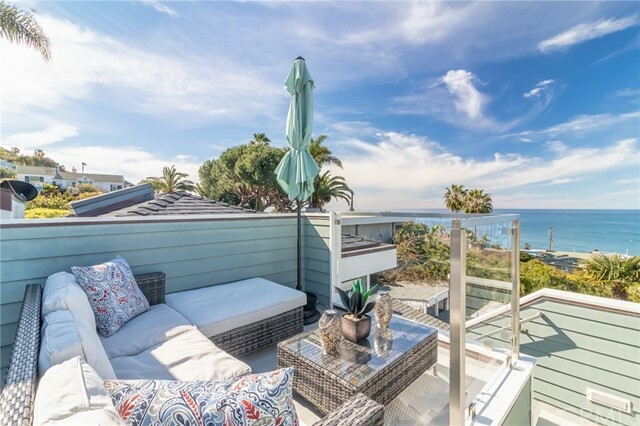 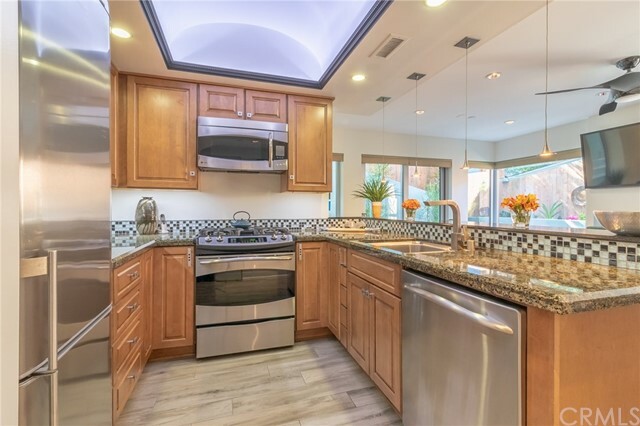 This stunning modern style beach home is in a VERY desirable area of South Laguna only a few hundred feet from 1000 Steps Beach with SPECTACULAR OCEAN VIEW! 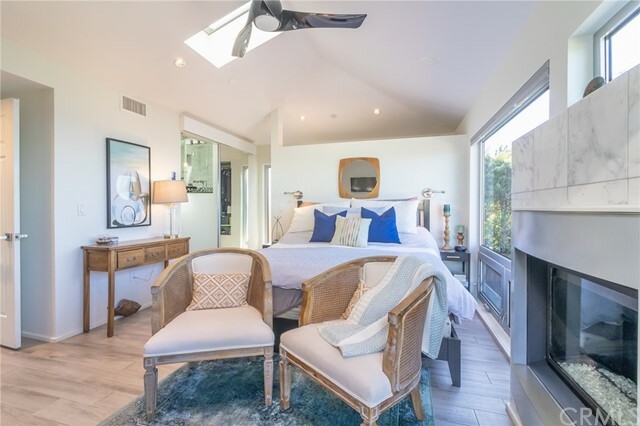 Beautiful new home features beautiful master suite encompassing the entire top floor offering skylights, wet bar, ceiling fans and it's own cozy fireplace. 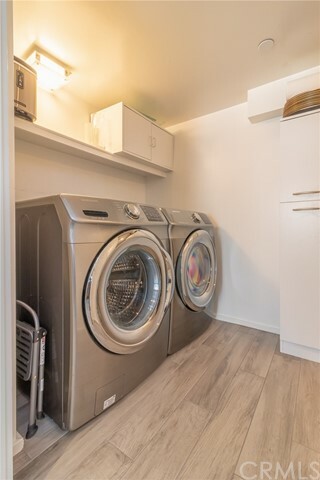 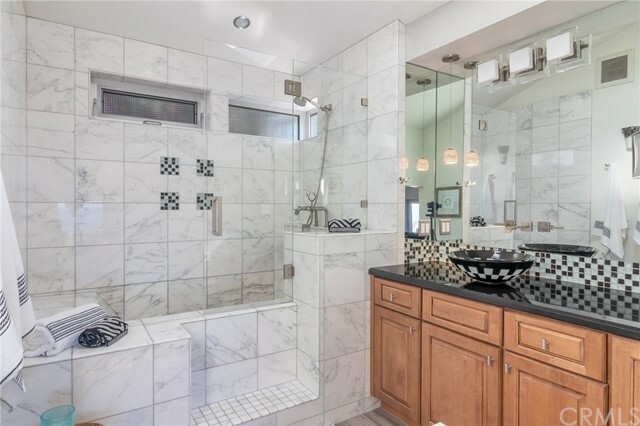 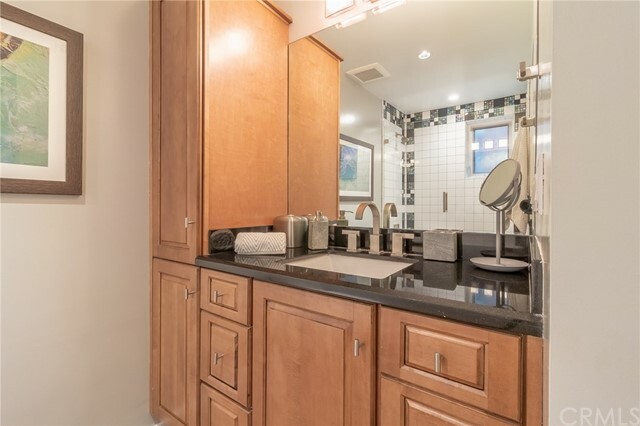 Adjoining luxurious marble master bath features huge soaking tub and separate shower, as well as spacious walk in closet. 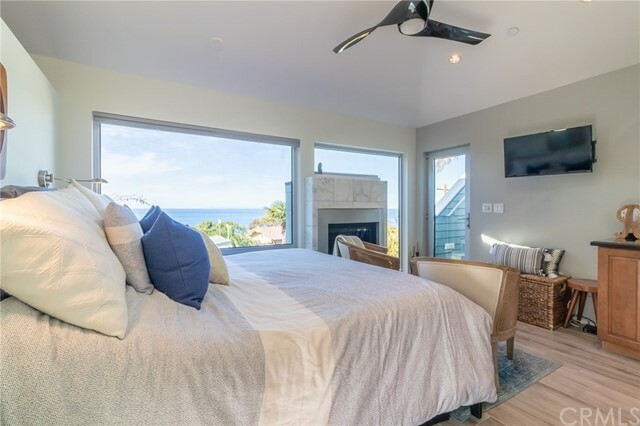 Master bedroom opens to entertainment deck with dining table and chairs offering 180 degree views of the ocean, coastline and Catalina Island. 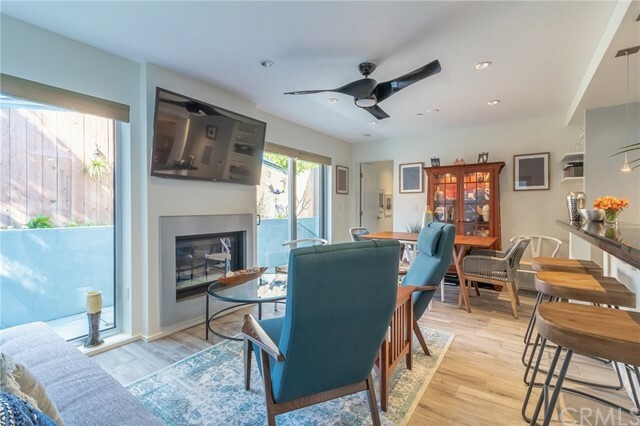 Main living area is on lower level as well as second suite. 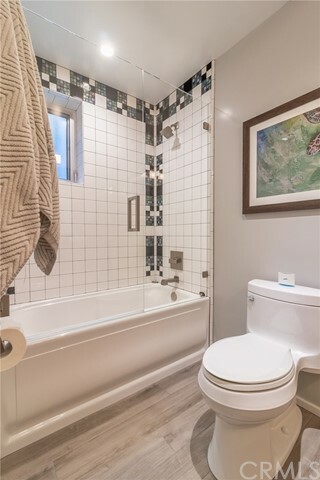 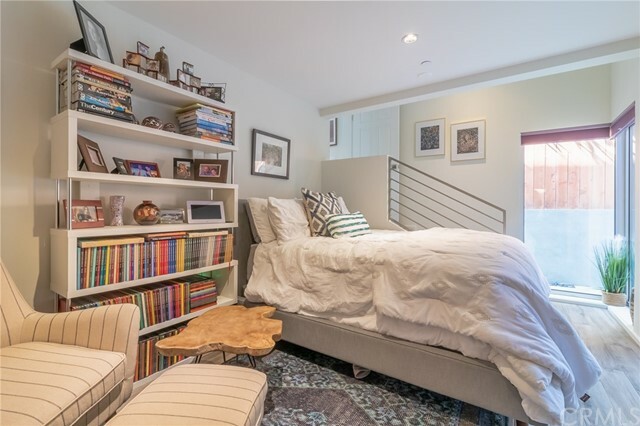 Second suite offers adjoining bath with jacuzzi tub and access to patio. 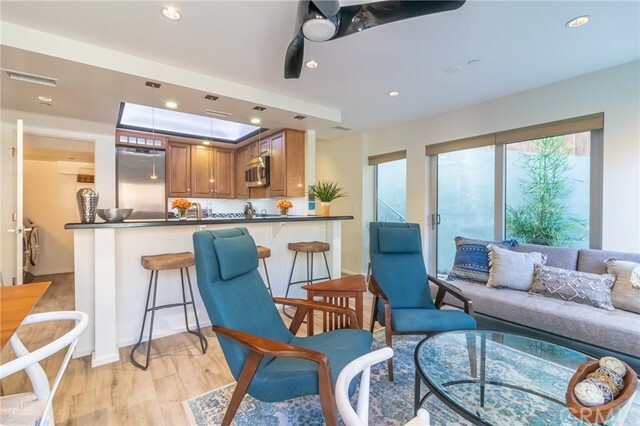 New modern kitchen is open to living room and dining room also featuring inviting fireplace. 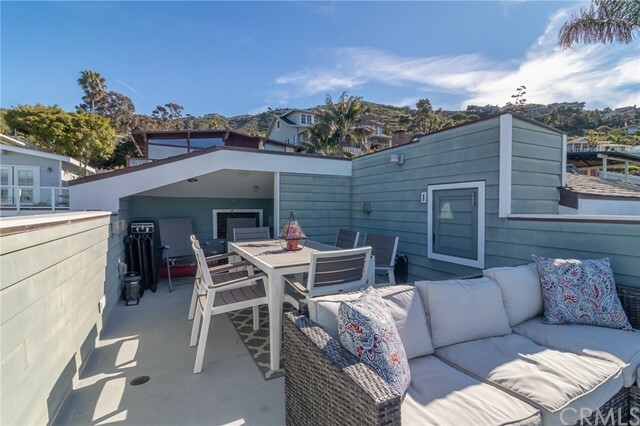 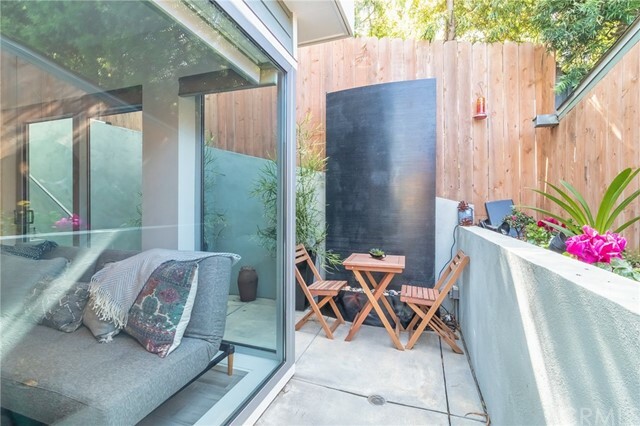 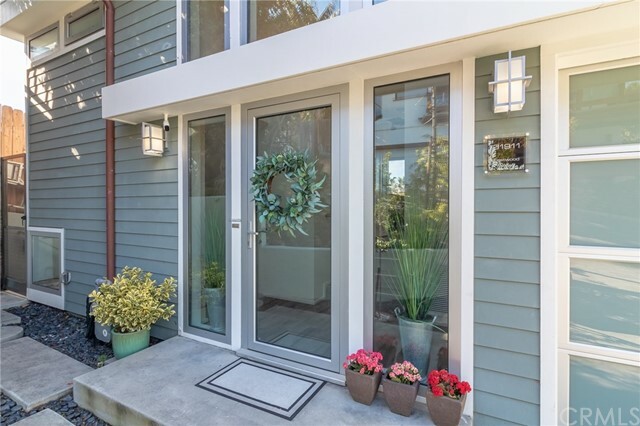 The living room flows seamlessly outdoors to the patio with outdoor shower, perfect for enjoying the sights and sounds of crashing waves day or night. 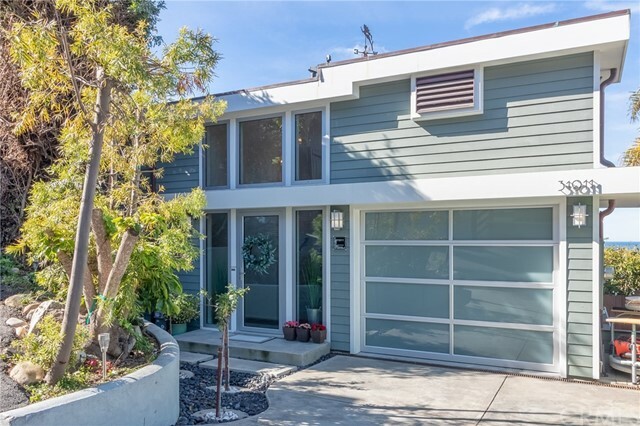 This charming home is located in a very quiet neighborhood within walking distance of beaches, restaurants and shopping.